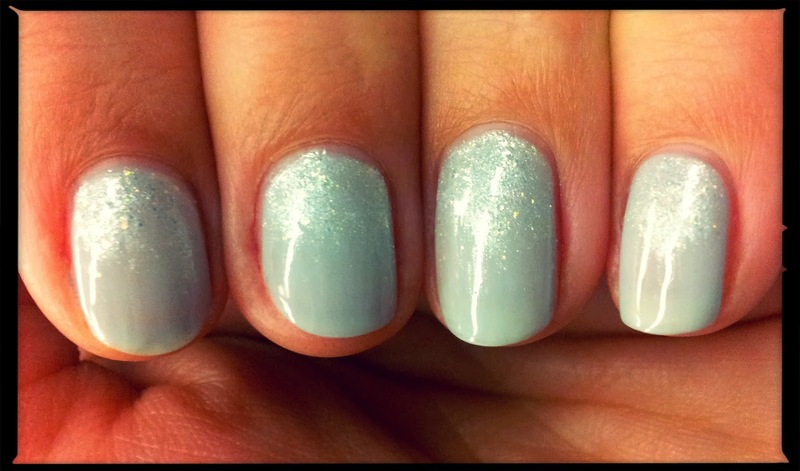 This mani reminds me of the 'How To Lose A Guy In 10 Days' advertising slogan... Frost Yourself. After a wintery trip to Budapest I was inspired to do some frosty nails. These were super quick, just a base of Rimmel's Little Bo Peep, with a dash of Barry M's White Pearl Lady on top. I achieved the gradient look by dabbing a line of White Pearl along the base of the nail. I then wiped off the brush and used it to pull the polish up the nail. I like that this gave the effect of frost crystals forming around the edge. White Pearl is the perfect winter polish and I can definitely see it making an appearance in some Christmassy nails, watch this space! !